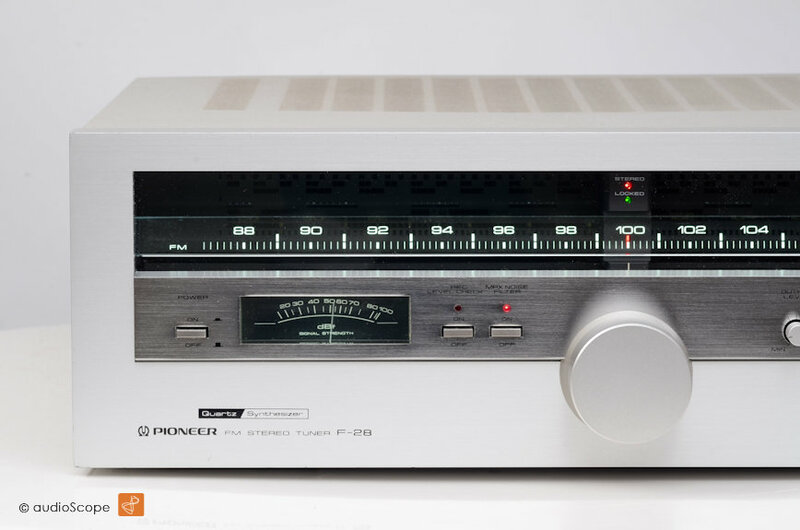 Pioneer F-28, Series 20 for sale. 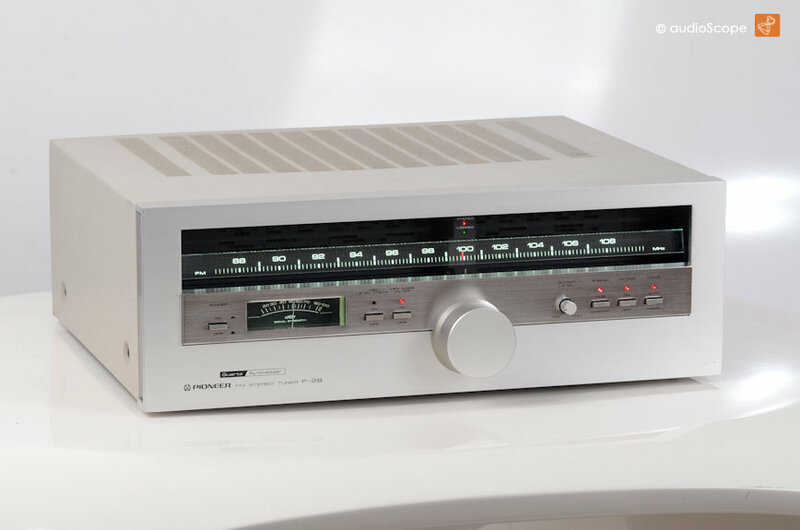 Extremly elegant and rare top of the line FM only tuner with extremly good receiption. 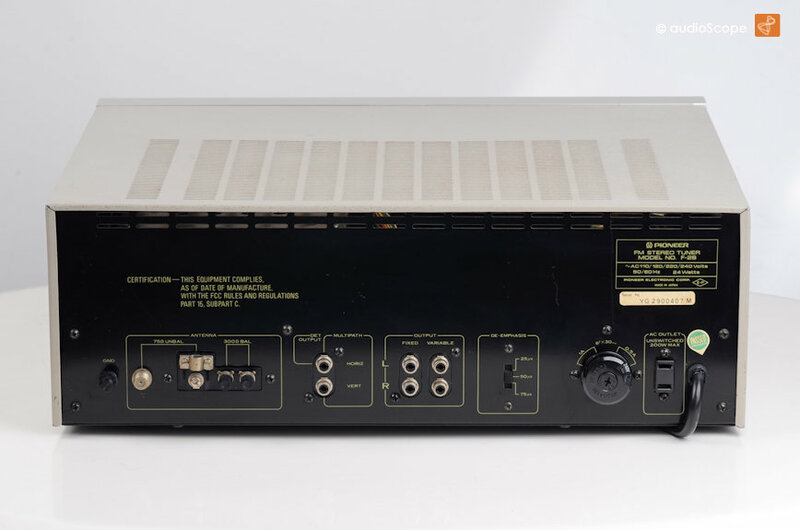 The perfect match for your Series 20, C-21 pre, M-22, M-25 power amp and of course the PL-C590 turntable. The optical condition is fine. You will find light wear here and there, but nothing serious. Very nice, just not a minter. 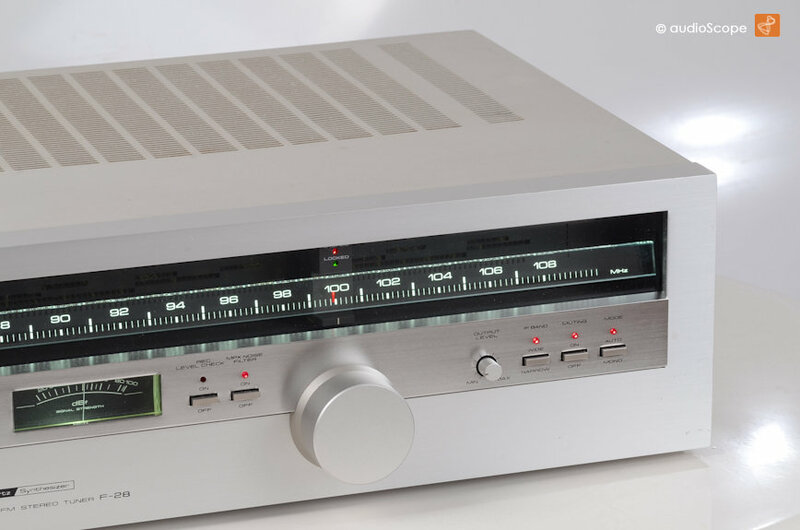 Technically, the tuner has just been aligned and plays extremly homogen, picks up far away stations in high quality with low noise and stereo sound. 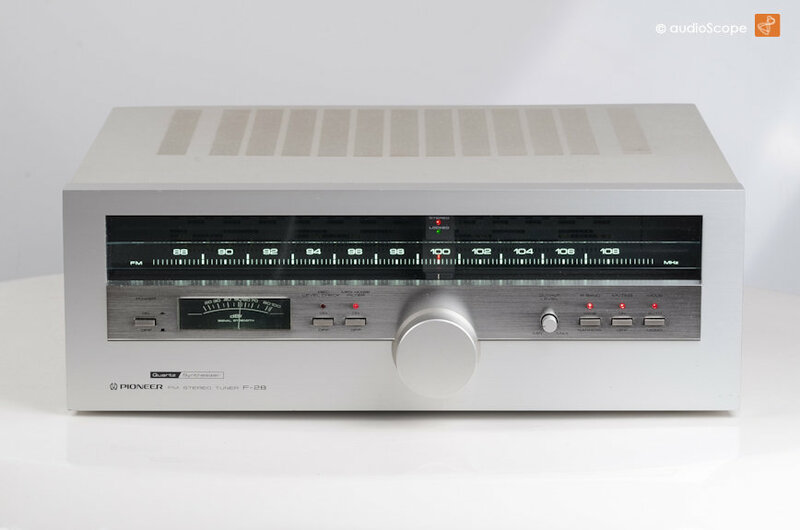 A rare high quality tuner with excellent every day qualities and extremly elegant appearance. Voltage selectable, 110, 120, 220 and 240 VAC - Deemphasis selectable, 25, 50 or 75 microseconds. US broadcast standard.